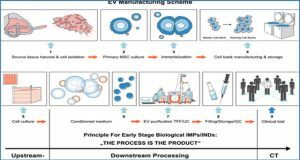 Cancer development is a multistep process in which exosomes play important roles. 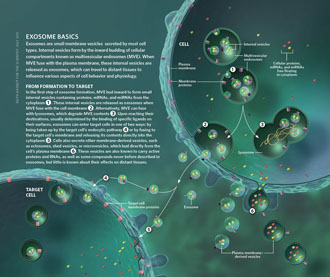 Exosomes are small vesicles formed in vesicular bodies in the endosomal network. 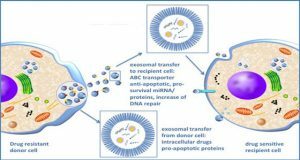 The major role of exosomes seems to be the transport of bioactive molecules between cells. 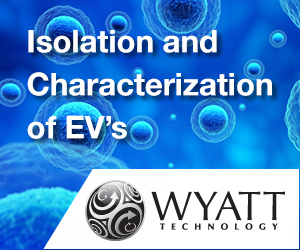 Depending on the cell of origin, exosomes are implicated in the regulation of several cellular events, with phenotypic consequences in recipient cells. 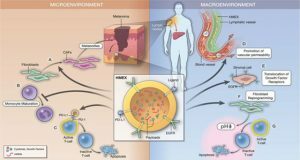 enhancing the metastatic evolution of the tumour by promoting epithelial to mesenchymal transformation of tumour cells and by preparing the tumour niche in the new anatomical location. 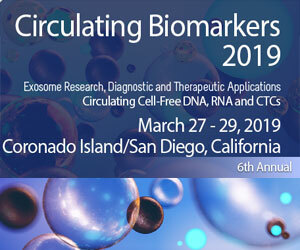 Since the finding that exosomes content resembles that of the cell of origin, they may be regarded as suitable biomarkers for cancer diagnosis, allowing for diagnosis and prognosis via a minimal invasive procedure. 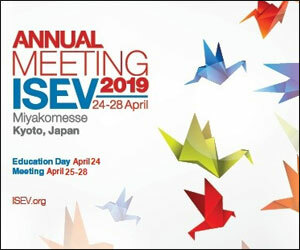 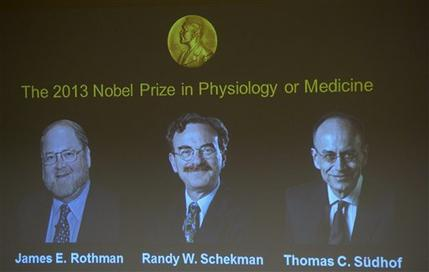 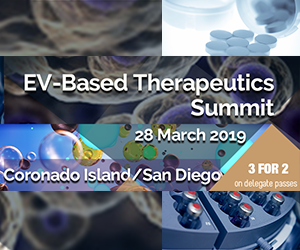 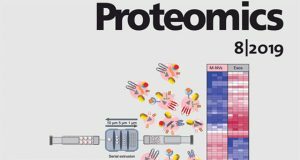 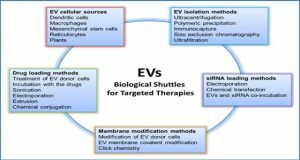 Exosome involvement in cancer may open new avenues regarding therapeutics, such as vectors for targeted drug delivery.